Adoption creates families and saves lives. 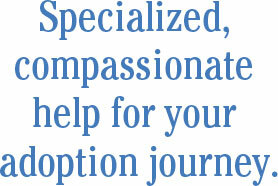 Whether you are a birth mom or an adoptive family, you need an adoption professional to help you on this journey. Brian Kelly is a respected and experienced board certified adoption attorney who has helped more than 1,000 families with successful adoptions. Brian understands the needs of birth mothers and adoptive parents. Brian Kelly is the right attorney to help guide you smoothly through the entire adoption process.